In order to better serve more families in Brown County, we will purchase a building to function as the Greater Green Bay Habitat for Humanity campus. Included in the campus will be the ReStore, affiliate office, and construction warehouse. Our ReStore footprint will double in size, allowing us to substantially increase our sales volume to enhance our vision. The affiliate office space in our new location will increase productivity by being equipped with sufficient office space, which will include confidential meeting rooms, storage space, educational classrooms, volunteer work space, and a conference room for Board and staff meetings. Scroll through the case statement below for our full story, our need, and our goals. 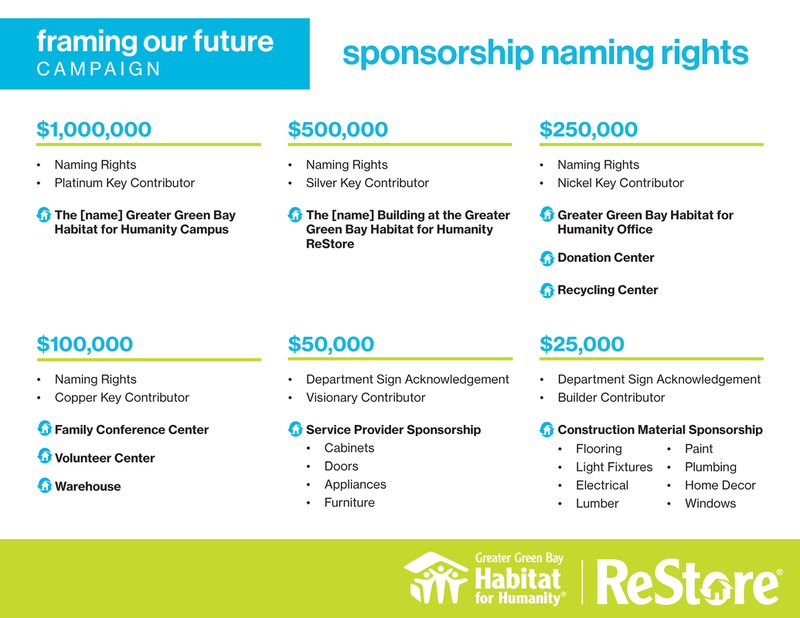 Help us transform communities and improve more lives in Greater Green Bay with an expanded Habitat for Humanity ReStore.